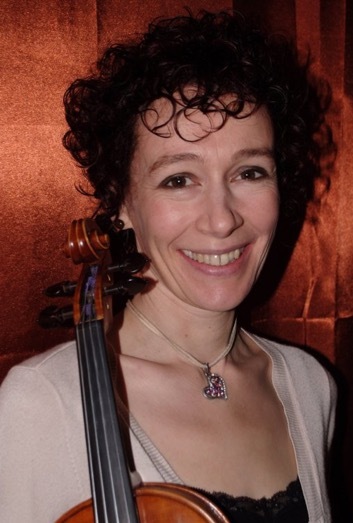 trac is delighted to be able to offer musicians a new source of tunes, thanks to Ceredigion fiddler Helen Adam. We asked her to tell us all about it. “I have long been fascinated with the relationship between traditional music and the land and location from which it originates. What it is that makes Irish music distinctive from Scottish, and what are the unique and recognisable elements of our Welsh heritage? Pondering these questions, I noticed how many tunes are named either after places or have titles referencing places: Machynlleth, Glandyfi, Y Ferch o Blwy Penderyn and so on. Of course some of these tunes will have originated from other places and the whole subject of music and national or regional characteristics is huge and multi-faceted, but I got interested in making an interactive musical map to locate tunes visually. I started in Wales, and after some research (and help from my son Sam, who should take all the credit for programming), we devised a map that, when you click on a location, will show you a tune or tunes that bear its name. “The music is available on the website both as sheet music and as recordings, primarily for melody instruments such as fiddles, whistles and flutes. I’ve also added chords so guitars, basses, keyboard and box players can all get involved too, and I’ve tried to add a little information and photos of each location. “Another passion of mine is in writing counter melodies, which fit with and weave around the original tune, and so I’ve written quite a few of these for the tunes from Wales. “I hope this website will be enjoyed by folk musicians of all nationalities, and by musically minded visitors to Wales as well. You can find Helen’s website at www.tunelines.com or click on this link to jump to the Resources section of the trac website, where you’ll find Helen’s musical map and more.